A native dark mode has been one of the most requested features for Android since forever. 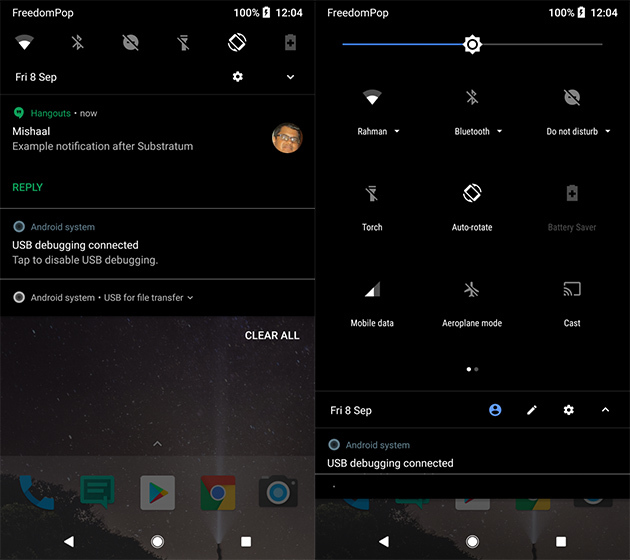 While Google failed to deliver with every successive Android release, users resorted to other means like using Substratum to get the all-black look. However, a recent post on the Android Issue Tracker suggests that Google might finally include a native dark mode in Android P which will be released later this year. As a number of OEMs have now started adopting OLED displays for their smartphones, having a native dark mode does make sense. It seems like Google has finally agreed, as the latest reply on the thread reads: “Our engineering team has added this feature. It will be available in a future Android release.” This leads us to believe that Google might finally add a native dark mode option in Android P.
However, in a Reddit thread on the matter, a number of users have pointed out that Google has made such promises in the past too, which plants a seed of doubt about whether the dark mode is real. In any case, we’re excited about a native dark mode and hope that Google doesn’t let us down again.